← Can VA chaplains help fill the gap of too few mental health workers? We know that HCV and Parkinson’s Diseases are epidemics in the veteran community. There is some new research that readers might want to know about. I’m copying the text of a response to a large study with citations to three other studies. If you are working on this issue, your librarian should be able to track them down. 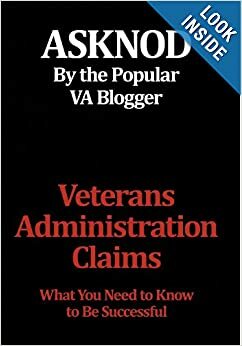 Alex has posted about AO, Parkinsons, and Lewy bodies: (Link) which underscores the need to try to keep toxins out of brains and not to let the VA deny their effects. Tsai et al. reported an association between hepatitis C virus (HCV) infection and Parkinson disease (PD) in their study of nearly 50,000 patients with HCV, hepatitis B virus (HBV), or HCV/HBV co-infection from the Taiwan National Health Insurance Research Database (2000-2010). 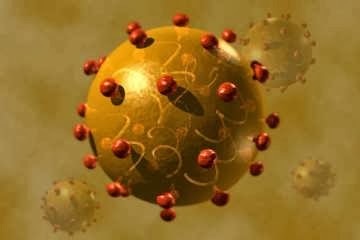 Another recent and comparably large study found a similar association between PD with HCV infection. These studies lacked an analysis of the association between treatment of HCV and development of PD. We recently published a case report/literature review of 12 patients who developed parkinsonism in the context of interferon therapy, with reversible and progressive cases. Importantly, our review included cases with and without HCV, and suggested the potential for an association between exposure to interferons and development of PD. The same Taiwanese database has been used to identify 8,747 patients with HCV from 2004 to 2007, of which 919 (10.5%) were treated with interferons for 3 months or more. Tsai et al. potentially have data to perform a much needed analysis of the association between HCV treatment (specifically interferon) and development of PD to clarify whether there is any additive or confounding effect of interferon exposure on the risk for PD. 1. Tsai HH, Liou HH, Muo CH, et al. Hepatitis C virus infection as a risk factor for Parkinson disease. Neurology Epub 2015 Dec 23. 2. Wu WY, Kang KH, Chen SL, et al. Hepatitis C virus infection: a risk factor for Parkinson’s disease. J Viral Hepat 2015;22:784-791. 3. Wangensteen KJ, Krawitt EL, Hamill RW, Boyd JT. Parkinsonism in patients with chronic hepatitis C treated with interferons: Case reports and review of the literature. Clin Neuropharmacol 2016;39:1-5. 4. Chen YC, Hwang SJ, Li CY, Wu CP, Lin LC. A Taiwanese Nationwide Cohort Study Shows Interferon-Based Therapy for Chronic Hepatitis C Reduces the Risk of Chronic Kidney Disease. Medicine (Baltimore) 2015;94:e1334. This entry was posted in Food for thought, Guest authors, HCV Health, hepatitis, Medical News, Uncategorized and tagged asknod.org, HCV. Bookmark the permalink.